The Karen National Union has issued a warning to rogue companies operating in Karen areas that if they exploit local people, destroy the environment they will be forced to leave and take their business elsewhere. The KNU’s general secretary, Naw Zipporah Sein, said. The KNU said it has taken this stance to ban any company that destroys local people’s livelihood and the environment. Naw Zipporah said. The KNU has a policy on foreign and domestic companies that does not allow any business that gained contracts from the Burmese military government to operate in Karen territory without first meeting certain standards in regard to the environment and local people. The KNU says it is taking a tougher stand against companies that exploit and destroy the local people livelihood, especially large scale commercial plantation companies that are involved in land confiscation with the aid of their associates, the Burma Army. 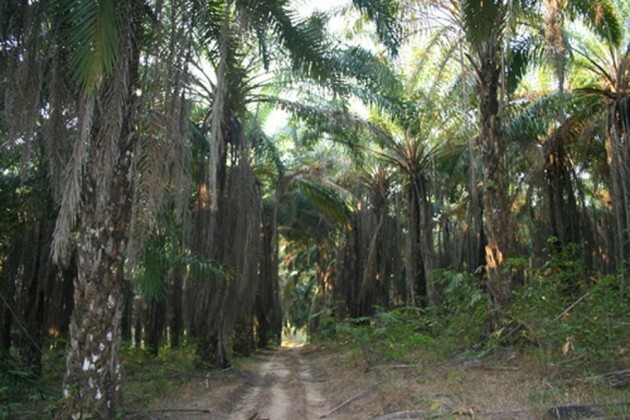 According to an unnamed KNU source in the Mergui-Tavoy District also known as Tenasserim Division, an increasing number of commercial companies approached the KNU for permission to plant rubber and oil palm plantations, but they were rejected and some companies expelled. Tenasserim Division is where the military government leases land to companies it approves of for oil palm and rubber plantation. By the end of 2008 as many as 200 companies were allowed to lease 1.55 million acres for commercial farming. By 2010 the total concession area had expanded to nearly 1.75 million acres allocated to 216 private Burmese businesses. According to the Burma Environmental Working Group (BEWG), nearly half the total acreage allocated was in Tenasserim Division, in support of oil palm plantation development, the next highest amount of acreage allotted by state/division was Kachin State with 11 companies receiving nearly 400,000 acres for cultivation. The military government says it planned to turn Tenasserim Division into ‘the oil bowl of Burma’, as the area is suitable for cultivating oil palm due to its soil and climate. KNU’s source in tha Mergui-Tavoy District said more than 20 Burmese and Malaysian companies were granted contracts to farm oil palm and rubber for up to 30 years. The list of companies includes the Htoo Company, owned by Burmese tycoon Tay Za – who has close links to the Burmese military. Other companies favoured by the government are Yuzana and Asia World. BEWG estimate 37 companies were given contract-farming leases from the military government. In Tenasserim Division the total acreage is 671,053 acres. Saw Eh Kaw, a local community leader in southern Tenasserim Division told Karen News. Saw Eh Kaw said, the Burma Army and the companies told villagers that as they did not have land ownership certificates they did not own the land. Eh Kaw said many villagers had their land confiscated and has become so serious that many villagers have taken refuge in KNU controlled areas and in refugee camps in Thailand. Eh Kaw claims that companies were given the land in areas in deserted Karen villages from where they were evicted by the Burma army. Some villagers were forced to relocate to land under the control of the Burma Army. Villagers had to start from scratch and had to clear the land before they could plant their crops. The KNU source from Mergui-Tavoy said in areas the deserted villages were simply taken over by the company. The KNU’s Naw Zipporah Sein said. “Company which come in, and confiscate villagers land they must give compensation.”, said Zipporah.